Then two teenage girls disappear from a sandbar on the swift-moving Pascagoula River, and fears surface that evil lurks in the depths of the swampland - an evil consumed with rage against betrayal and an insatiable desire for vengeance. Suspicions fall on a mysterious transient, a young man running from a violent past in the Catholic Church of Mexico. Yet J.D. and Dixon discover that many there in Jexville have been betrayed, innocents suffering the sins of the fathers. Now they must find out who is willing to kill for revenge. 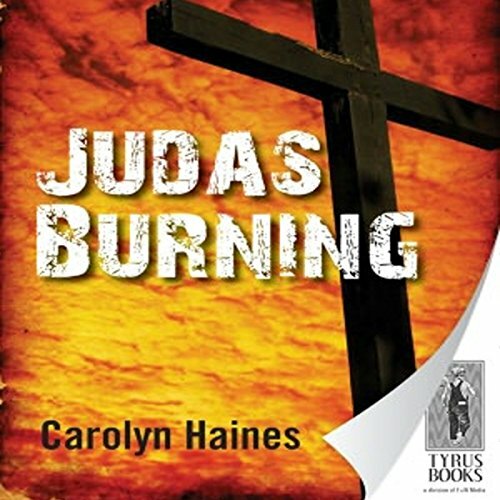 ©2005 Carolyn Haines (P)2012 Audible, Inc.
Would you listen to Judas Burning again? Why? Yes. It's a good story and does not wander nor have a lot of unneeded details which always distract me especially in a mystery. What other book might you compare Judas Burning to and why? What about Courtney Patterson’s performance did you like? I thought she handled the southern accent extremely well. Lots of narrators butcher the southern accent and she seemed to be close to the characters in the book. Overall, I think she added a lot to the book - I listen to a lot of audiobooks and I know that the narrator can make or break an audiobook. No. It made me a little sad at the end but that's because it didn't end as I expected. This is the first of Carolyn Haines' novels that I have read or listened to. This book was recommended by a friend and it was well worth the time. I hope to find more of Ms. Haines books.